Spiegelau Crystal has been in business since the 1600s, yes, approx. 500 years. 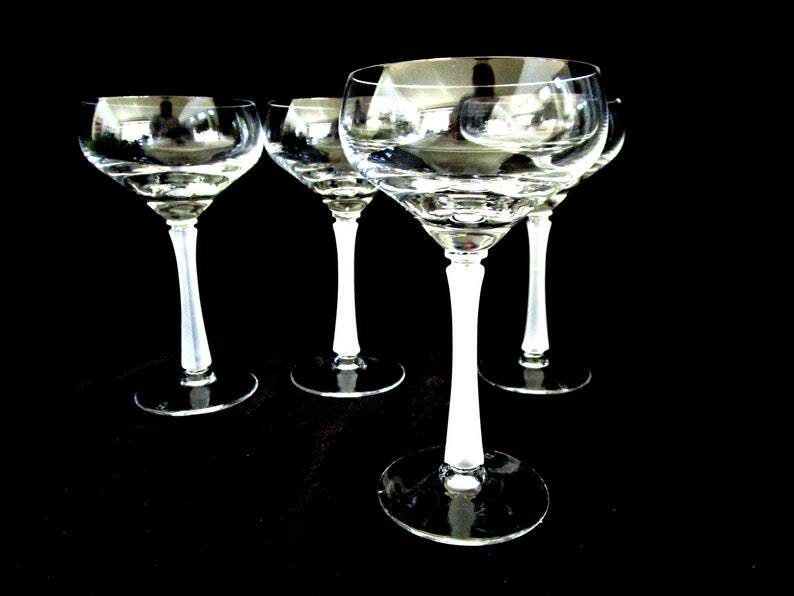 These champagne coupes are fine and delicate, with a heavily frosted stem. All 4 are in excellent condition, no chips or cracks. Each measures 5 1/4 inches high and has a 3 inch diameter at the bowl. They are lovely, very sophisticated with understated elegance.